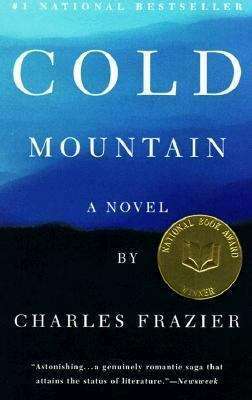 One of the most acclaimed novels in recent memory, Charles Frazier's Cold Mountain is a masterpiece that is at once an enthralling adventure, a stirring love story, and a luminous evocation of a vanished American in all its savagery, solitude, and splendor. Sorely wounded and fatally disillusioned in the fighting at Petersburg, Inman, a Confederate soldier, decides to walk back to his home in the Blue Ridge Mountains and to Ada, the woman he loved there years before. His trek across the disintegrating South brings him into intimate and sometimes lethal converse with slaves and marauders, bounty hunters and witches, both helpful and malign. At the same time, Ada is trying to revive her father's derelict farm and learn to survive in a world where the old certainties have been swept away. As it interweaves their stories, Cold Mountain asserts itself as an authentic American Odyssey--hugely powerful, majestically lovely, and keenly moving.